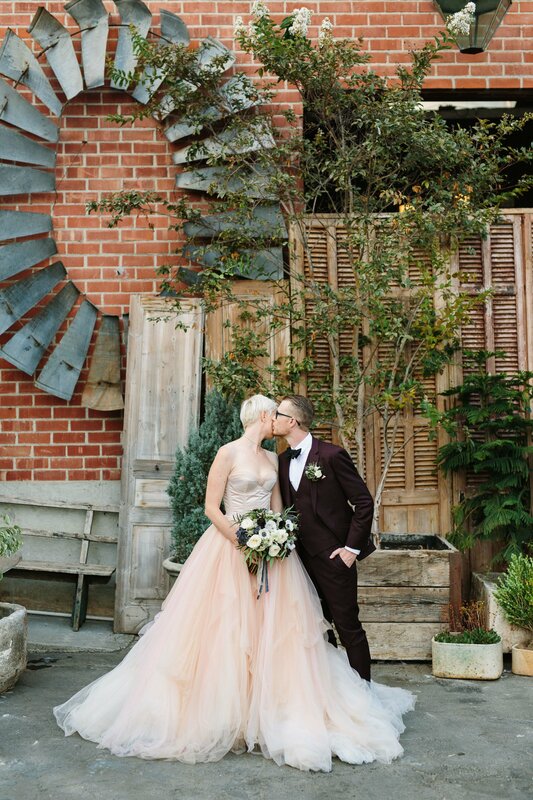 A confetti cannon, an antique shop filled with endless trinkets, a stunning bridal gown, a custom beer bar, a cotton-candy machine, board games, a burgundy suit, an In-N-Out burger truck…just a few items on the endless list of awesomeness that was Callie & Tom’s wedding. I LOVED photographing this fun, unique day with this amazing couple and couldn’t be happier to see their wedding published today over on Green Wedding Shoes! I honestly have so many favorite shots from their wedding that I couldn’t resist doing a massive entry too. Here we go! I kicked off the day at the beautiful Culver Hotel with the girls! This bright, clean space made for gorgeous getting-ready photos! Congratulations Callie & Tom! Thank you so much for having me document your day!